To understand how someone as corrupt as Trump made it to the presidency we need to turn the clock back a bit. No, this is not referring to The Donald. 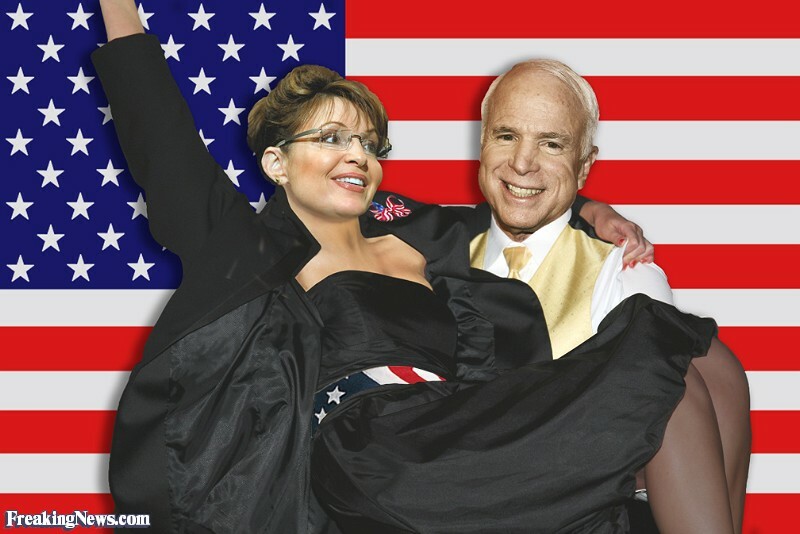 It's referring to the 2008 presidential campaign where Sen. McCain joined forces with Sarah Palin. Forget real issues. As long as they can get away with twisting the truth like taffy it'll be in Republican campaign manuals for future elections. It sounds prophetic now when we look at how Trump slithered into office. He weaponized lies and declared any news about him as "fake news." There's no doubt that Sen. McCain and Palin helped paved the way for the Great White Dope now in office. Not only were American's dumbed down by partisan lies, but many decided to join the Trump cult and to pledge their loyalty to him. Using his base as reality TV show actor, Chump brought those same mindless minions who watched him for years on TV into the voting booth. Yes, there were other important factors that led to Trump's rise, but at the core it's the GOP's willingness to accept lies. Now those spineless GOP members in congress have got what they deserved; a maniac sitting in the Oval Office tweeting our freedom away!